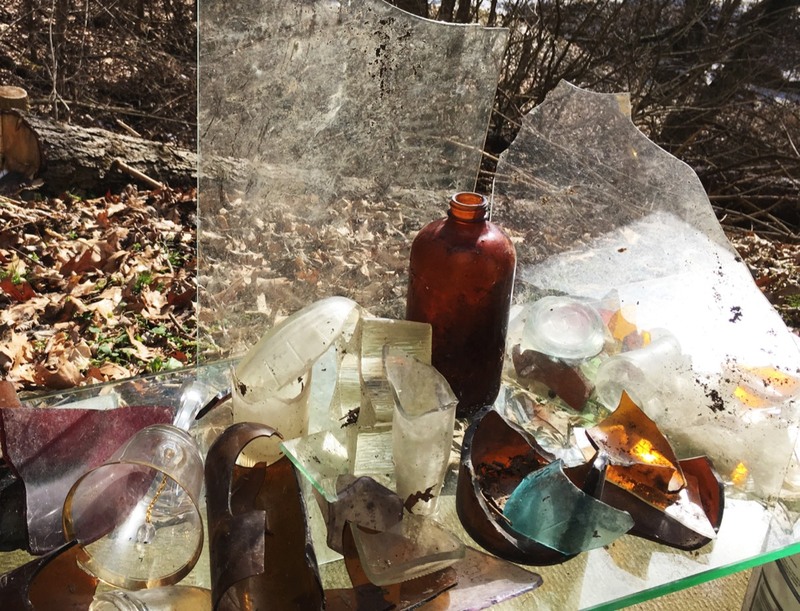 The idea for sound composer R. Weis' new EP came one sunny day as he cleaned up debris in the woods around his house. While finding and throwing broken glass bottles, plates, shards, and panes into a recycling box, interesting sonic patterns caught his ears' attention. 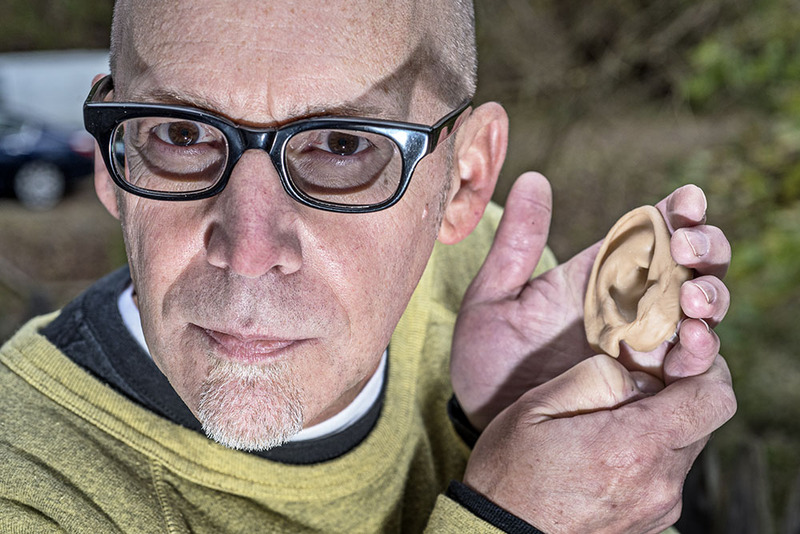 Samples of those patterns, along with samples of a glass bell, are the raw sound material he used to create the 6 songs of Glass in Your Ear. After more than 30 years composing with manipulated sound, I had already completed projects with a long list of sound sources" explains Weis. 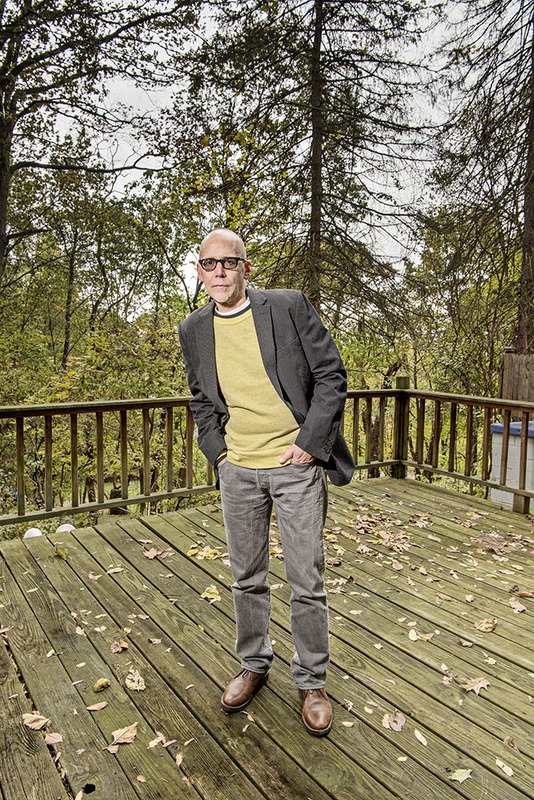 "I also like challenging myself with tight conceptual limitations. " Earlier projects with such limitations include 2008's Victoriana (the sound of doors), 2011's Excitable Audible (everyday sounds like dishes and trash) and as far back as 1990's Our Cells, Our Selves, Our Homes (sounds related to electromagnetism). "For my new project I wanted to focus on one single material I hadn't yet explored" he says. "The broken glass I picked out of the dirt fit the bill." 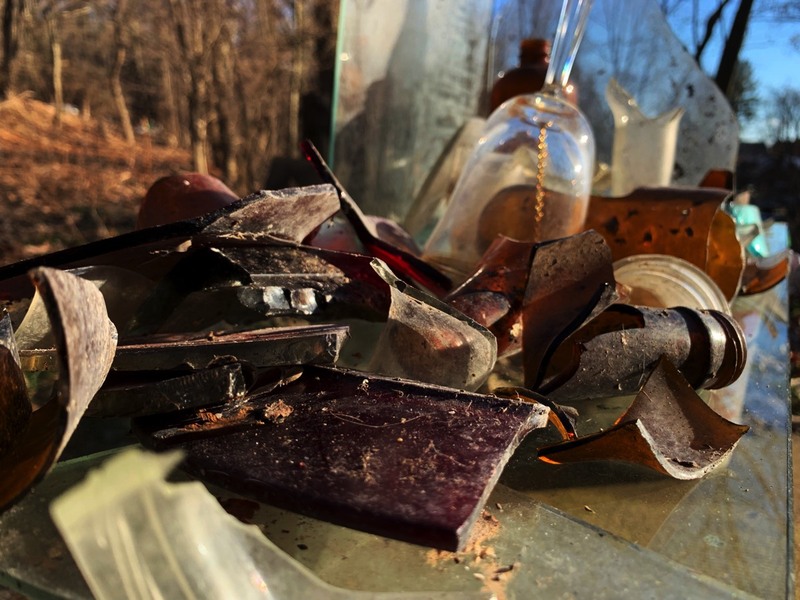 To record the glass sounds, Weis put all the found fragments in a box, set up his microphone and recorded as he tossed glass onto glass, rolled bottles on panes, and dropped several pieces of glass simultaneously. After reviewing what he had recorded, Weis isolated samples to manipulate through a process of improvisation. "I like the samples to be as random as possible, each containing a bunch of sounds, so I can find and compose with patterns they contain," he says. Weis also recorded samples of a glass bell with its glass clapper and integrated those more refined sounds to balance the rough quality of the found scraps. 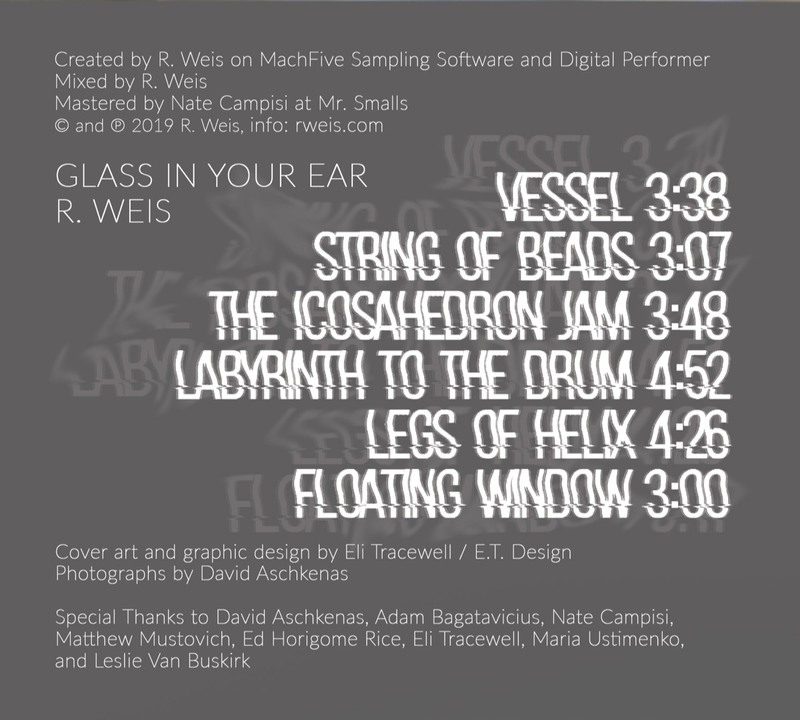 Glass in Your Ear was created between 2016 and 2018 on MachFive sampling software and Digital Performer. Fitting within Weis' conceptual focus for the project, it is entirely constructed from sounds of glass. 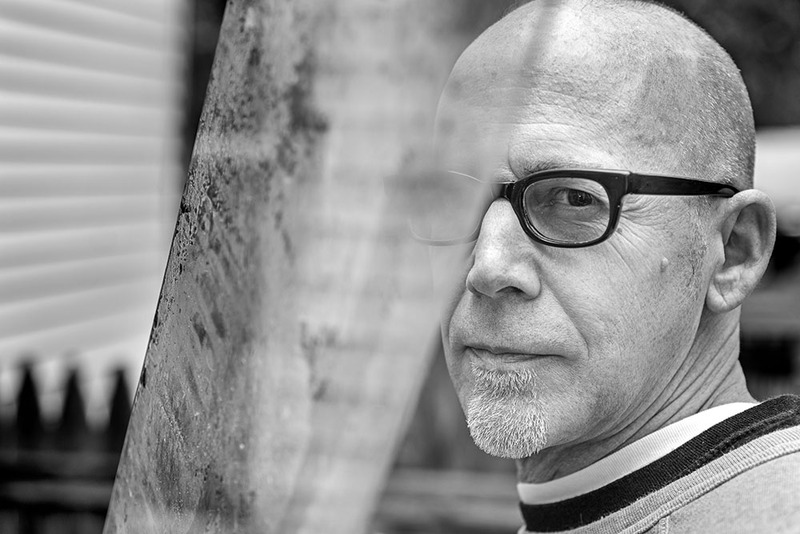 R. Weis has been composing with manipulated sound since the 1980s after moving from Pittsburgh, PA to New York City's East Village. Originally working as a poet, Weis began manipulating cassette tape to accompany presentations of his creative writing. Soon he abandoned writing to focus on composing with manipulated sound. Since then his sound compositions have been heard in many performance spaces, galleries, museums and on radio stations across the USA and into Europe. These include solo projects such as Dog Choir as well as collaborations with film and visual art, sound scores for dance, and installations such as Requiem for a Paperweight with photographer Arthur Tress. 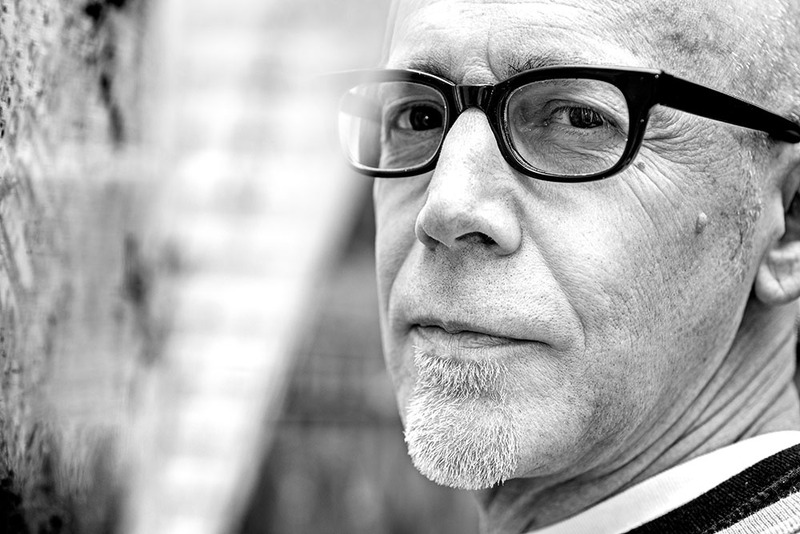 Weis, who now lives and works in Pittsburgh, PA, composes exclusively with original samples. His compositions are fixed recordings and he is not a performing artist. 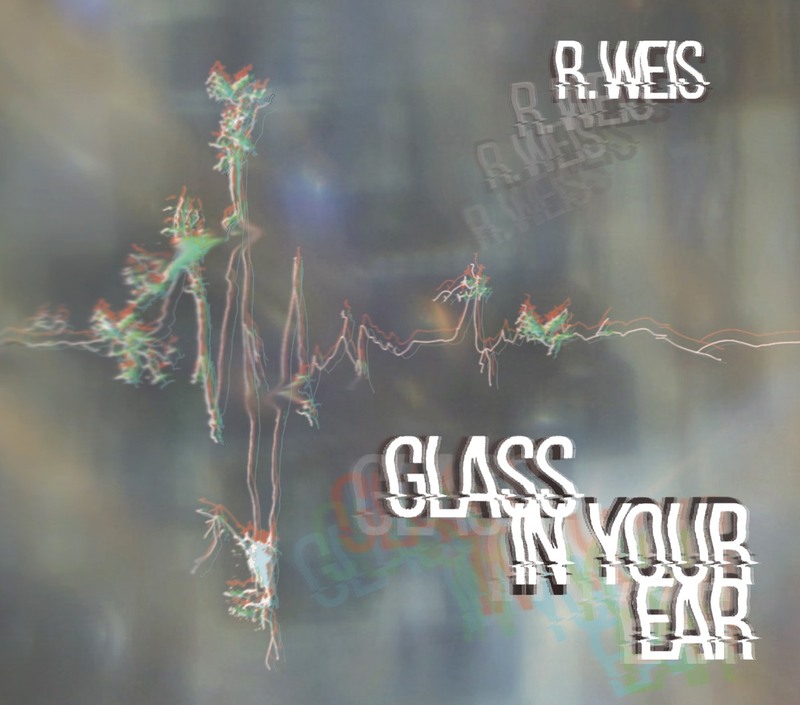 Glass in Your Ear, as well as other Weis projects Mystery of the Egg (1994), Excitable Audible (2011), and Parrot & Paperback (2015), are all available from CD Baby and its digital distribution partners including iTunes.